Forget that strong October jobs report. It wasn't strong enough to convince Ben Bernanke to slow the Federal Reserve's stimulus program. The latest data show the economy added an average of 200,000 jobs each of the last three months -- marking a sudden breakout for the labor market after months of weaker reports. Immediately after the October report was released, Fed watchers started speculating that it may just be the good news the Fed has been waiting for: Would the Fed start winding down its stimulus program at its next meeting in December? Now, it doesn't sound like it. 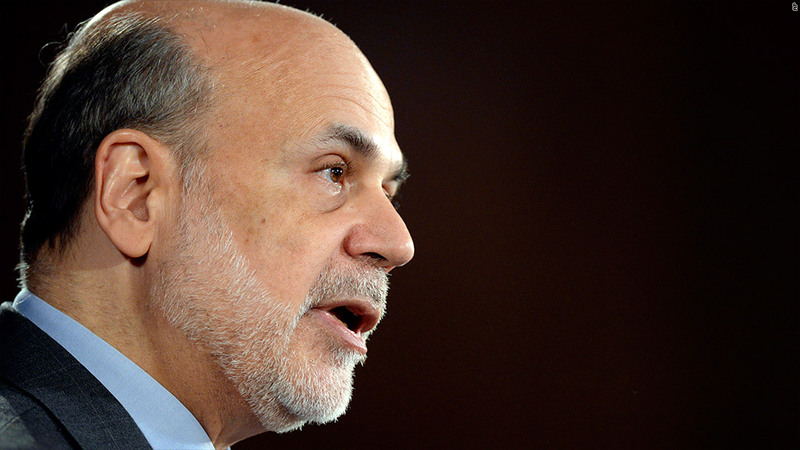 In a speech Tuesday evening, Bernanke characterized that data as "somewhat disappointing." The Fed stands by its stimulus program, he said, repeating comments that Vice Chair Janet Yellen delivered to the Senate Banking Committee last week. "The FOMC remains committed to maintaining highly accommodative policies for as long as they are needed," Bernanke said in prepared remarks. The Fed is currently engaged in its third bond-buying spree in the last five years, purchasing $85 billion in Treasuries and mortgage-backed securities each month. It's a controversial policy with unknown risks, but the aim is to stimulate the economy by keeping long-term interest rates low. The central bank is looking for substantial improvement in the job market before it starts gradually reducing that bond-buying program. Bernanke repeated Tuesday that the bond purchases are "not on a preset course, and the committee's decisions about their pace will remain contingent on the committee's economic outlook." Yellen is currently under consideration to succeed Bernanke as Fed Chair, when his second term ends in January. Like Bernanke, she has recently spoken out in favor of continued stimulus. "I consider it imperative that we do what we can to promote a very strong recovery," she told lawmakers last week.